The City of Elk Grove has scheduled a 4 p.m. news conference tomorrow, Wednesday, September 14 to announce the new Chief of Police. In August Robert Lehner announced that he would be retiring as the City's second Police Chief effective this October. Since his announcement, the City has undergone a recruitment process for Lehner's replacement. 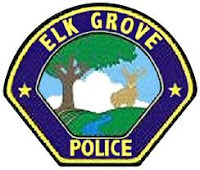 Elk Grove City Manager Laura Gill will announce her selection for the City’s next Police Chief with assistance from community members and the Elk Grove City Council during the press conference. The event will be held in Elk Grove City Hall Council Chambers, 8400 Laguna Palms way, Elk Grove. stream of the event via YouTube. The strength of the broadcast is dependent on the strength of the signal and bandwidth at the Falls Event Center, so if the broadcast stops, the broadcast will be restarted with each subsequent broadcast being titled Elk Grove Casino 2, Elk Grove Casino 3, etc.